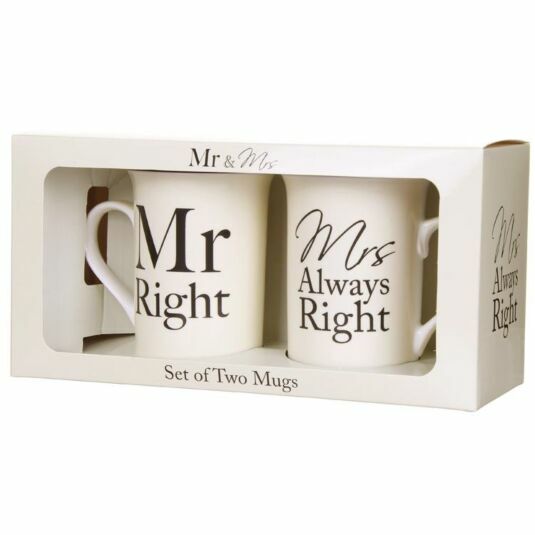 A nice play of words on this pair of mugs; no doubt he is Mr Right or she wouldn’t be marrying him, but let’s get it straight from the start which one of them will always be in the right! The mugs are a tall, elegant shape, with a slight flare at the rim. They are made of fine white china, with a cream background print. 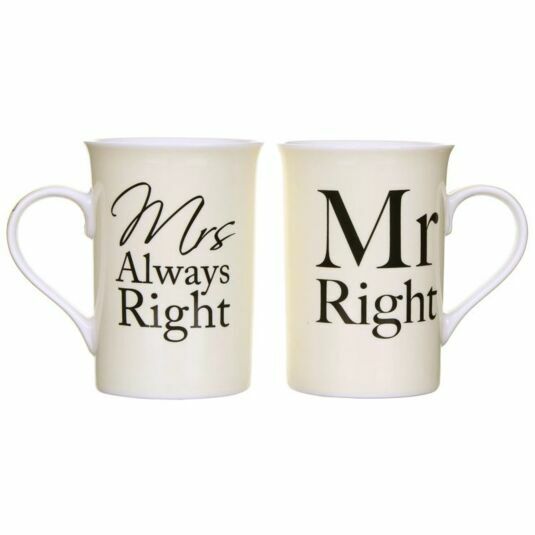 On one mug are the words Mr Right and on the other Mrs Always Right are printed in brown. The words are repeated along the handle of each mug. 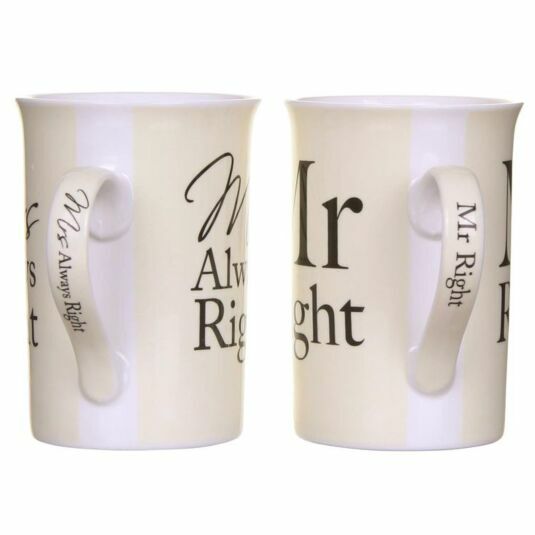 The mugs are presented in a cream-coloured open-fronted box which is also printed with the words Mr Right & Mrs Always Right in brown.